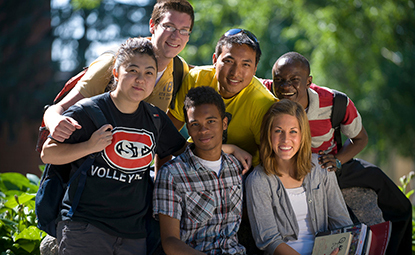 Students who pursue a minor in human relations examine discrimination based on race, gender, age, class, religion, disability, physical appearance, sexual orientation, nationality or culture, and they learn how to create social and institutional change. You'll acquire critical-thinking and investigative skills to examine alternative viewpoints for values, veracity and outcomes. You'll also build self-awareness and skills for living and working in a multicultural society. You'll examine the psychological, social, political and economic realities involved in culturally diverse and complex human interactions. 17- and 23-credit baccalaureate minor for bachelor of arts, bachelor of science, or bachelor of elective studies degrees. Defines a global understanding of social, economic, political and environmental justice to counter neocolonialism, xenophobia and militarism. Fosters skill development in recognizing and addressing dehumanizing biases, discrimination and oppression. Programs and courses aim to represent the perspectives of groups that have historically been excluded from the western canon. Provides courses on social justice issues for broad spectrum of liberal arts and professional majors and minors. Program fulfills human relations requirement for teacher licensure in Minnesota. Programs assist in meeting the National Council for Accreditation of Teacher Education (NCATE) standard on diversity. Aids and supports the development and improvement of community programs and services that pertain to race, gender, age, class, religion, disability, physical appearance, sexual orientation, nationality/culture, species and the environment.